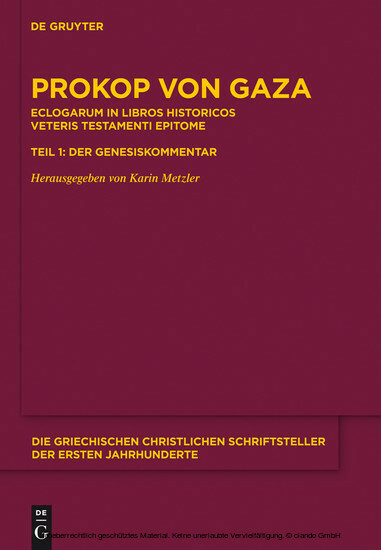 Procopius of Gaza wrote a major commentary on most of the historical books of the Old Testament (CPG 7430). This volume presents the first section, devoted to Genesis, for the first time in the complete Greek text. Amidst Procopius's continuous text we find a collection of excerpts that is of extraordinary value as a source in places where the original work was lost due to Council decisions or historical events. Karin Metzler, Humboldt University Berlin, Germany.